Final Fantasy XIV Fan Fest Paris is still ongoing, and today’s big event was the 49th Letter from the Producer Live. Given that XIV’s last big patch before its expansion is already available, there wasn’t a lot of new info to cover. 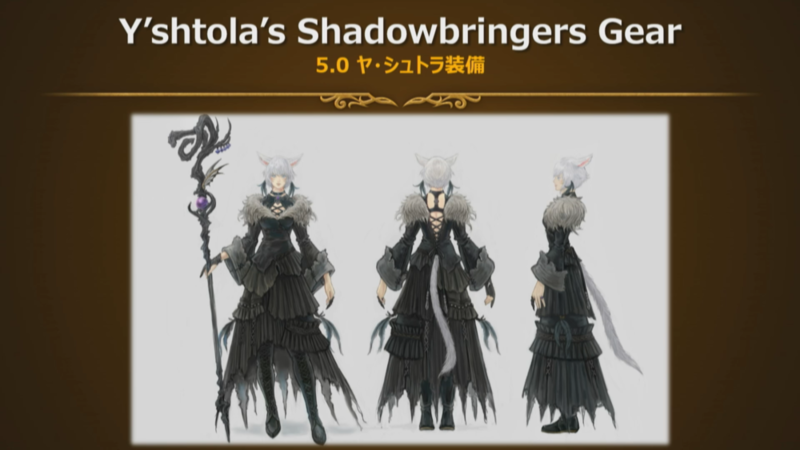 As a result, producer Naoki Yoshida and the team decided to give the Fan Fest crowd “something new”. The trailer is self-explanatory, but the biggest story of this crossover event is definitely that the Regalia mount transports four players. That’s a first for FFXIV, and this is one of the coolest ways to make it happen. Following the trailer, the team explained that there are different poses for characters driving the Regalia, or riding as passengers. Yoshi-P mentioned specifically that lalafells drive leaning on the steering wheel (because lalafells make everything better). He was also careful to highlight that if this was a paid mount, we’d have some pissed players, so the Regalia will be a reward earned in game. Beyond what’s in the trailer, they gave a window for the crossover event, saying it should be added some time in mid-April. There’s currently no news on the rest of what you see in that trailer, like whether it’s instanced, if this is all FATE content, etc. Square-Enix is usually very quiet about these sorts of events right up until release, so don’t expect much until April. The Live Letter itself also covered the two biggest additions for Patch 4.55: Eureka Hydatos and The Hidden Gorge. The next step in Eureka will be the finale, pushing the level cap 60 and wrapping up the story. This step also adds a post-game dungeon to Eureka, called The Baldesion Arsenal. The dev team describes its difficulty in extreme hyperbole, saying it requires bravery, courage, luck, and lots of time. Apparently resurrection spells don’t even work. This is a “public dungeon” with a 56-player limit, and it will include multiple, iconic bosses from Final Fantasy XI. They showed a screenshot of FFXI’s Absolute Virtue as an example. Yoshi-P added that traps similar to those in the Deep Dungeon will be present as well. The Hidden Gorge is the next PvP map for the Rival Wings mode. If you, like me, have never managed to get into a Rival Wings match, this is the MOBA-esque mode with PvP and PvE combat. Like Astralagos before it, The Hidden Gorge charges two teams with trying to destroy the other team’s crystal using machines from the Alexander raid series. This one adds some new features (I think — I haven’t ever played Astralagos) in the form of boss enemies from the raid that will fight players from both teams. Whichever team deals the most damage to the boss gets it as an ally on their side. Rival Wings looks like good fun, so hopefully it’ll be a more popular content type this time around. We gotta fill that post-patch/pre-expansion lull with something. Screenshots of both in the slideshow below. The latter half of the Letter was the guest developer Q&A stage. I’m only including this part because it adds to my crackpot theory that maybe Y’shtola has switched jobs to one of the unannounced jobs coming in the Shadowbringers expansion. The Q&A guest this time was Ayumi Namae, FFXIV’s character concept artist. She discussed her role in designing gear and appearances for both NPCs and player characters. Namae showed off concept art for black mage and astrologian AF gear, which you can see below. It’s clear Y’shtola is not wearing that black mage gear. It’s entirely possible that she’s just some weird unplayable class, which has happened before, but speculation is part of the fun, no? With 4.55 being one of those minor patches, there wasn’t a whole lot to cover here, but the Live Letter was still a good time. The next Fan Fest is March 23rd in Tokyo, where we’ll hear more about 5.0 jobs and features. Expect more FFXIV news around that time. Share the thing with your Final Fantasy friends!